It is just amazing how many people think that the television show Man v Food still exists. While building the huge database of food challenges, I spoke to multiple restaurant owners about their challenge, and they brought up that they have been trying to contact Man v Food about coming to take their challenge. Sadly, I informed them that Man v Food ended in 2012, and I even talked to a few people that did not believe me. If you check out different food challenge related posts by restaurants around the USA, you may see a comment or two by different people saying that the restaurant needs to get Adam Richman and Man v Food to come to take the challenge. Because the Travel Channel is still playing old episodes of the show constantly, and because most people simply watch the show for entertainment and don’t spend much time caring about food challenges, many people think that Man v Food is still out visiting local restaurants around the country and that Adam Richman is still attempting challenges at those restaurants. For a little more information about the show, please read A Brief History Of Food Challenges. After 3 seasons of Man v Food totaling 58 episodes, the last episode of the series premiered on October 20, 2010, which was also the last food challenge that host Adam Richman attempted. Adam went on to host Man v Food Nation afterwards which had a similar format, but then a local person attempted the food challenge while Adam coached him or her through it. 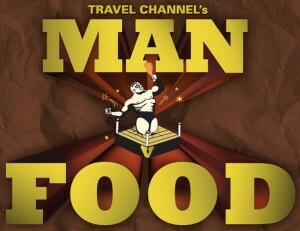 Man v Food Nation consisted of 27 different episodes, and the last 2 episodes premiered on April 11, 2012. The series was canceled by the Travel Channel after that. Since hosting the Man v Food series, Adam has gone on to host shows such as Best Sandwich In America and Fandemonium, but he has not done any other food challenge related shows. Recently, Adam slimmed down 70 lbs in just 10 months through hard work, diet, dedication, and exercise. For an article about his transformation with before and after photos, click here.